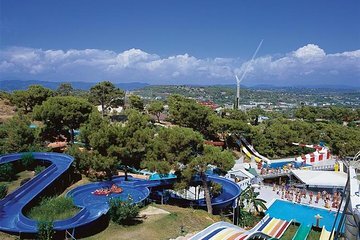 Cool off under the hot Mediterranean sun with an entrance ticket to Water Planet Aqua Park. Enjoy lunch and unlimited drinks with your entry ticket. Spend the day slipping down multi-slides and family slides. Experience the wave pool and go on an adventurous ride on the Kamikaze ride. For a relaxing time, lounge in the pool or in the sunshine.